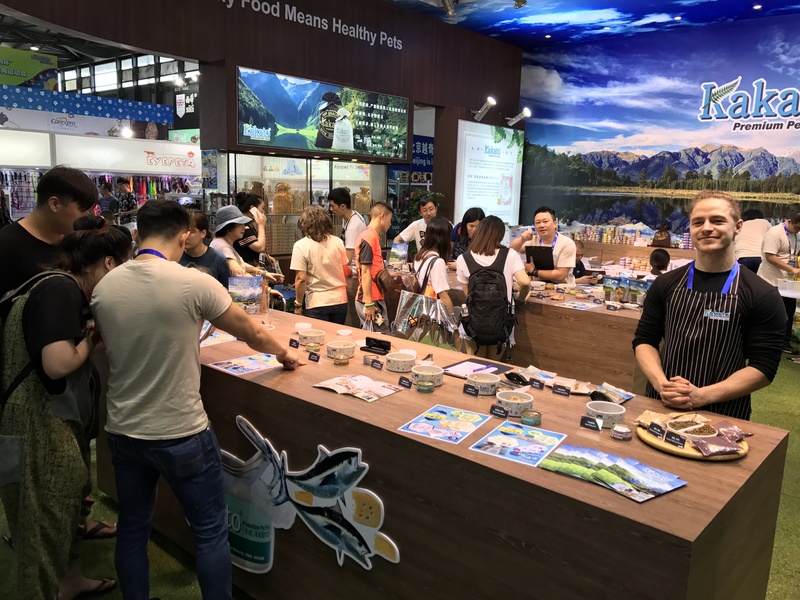 The 20th Pet Fair Asia (PFA) took place at Shanghai New International Expo Center on 24-27 August 2017. The PFA 2017 has 8 halls (100,000sqm) and 950 exhibitors and attracted more than 100,000 visitors. Lively bustling Asian Pet Show site, indicating that the Chinese pet industry has entered a new era of full-speed development, quality of the pet life will be being better by rapid growing pet market of the food, entertainment, supplement and medicine. In the PFA 2017, Kakato Premium pet food was exhibited by using New Zealand’s Maori ethnic elements. Unique Maori`s booth designs and statues have left a deep impression to the audience and exhibitors. In addition, Kakato’s booth provided a variety of products for the trial activities, combinations and prize-winning interactive games, so that the audience can know more about Kakato and satisfy their favorite pets’ appetite. Kakato looks forward to seeing you again in the next Pet Fair Asia in August 2018.